This fiasco cost the American taxpayers about $13 million in cost for studies, promotion, and other efforts, and made healthcare reform a 3rd rail of politics for 15 years. And there was litigation around Hillary's violations of the openness in government laws. And it as such a disaster that it contributed to the Republicans taking over the house in 1994. Talking behind the voters backs, about how you need to go behind the voters backs. Snopes doesn't touch the boondoggle. Politifact only touches it with regards to a claims that Hillarycare would have protected religious liberties and thus HobbyLobby case wouldn't have had to go against it. They hemmed and hawed and said the original proposal would have had the same problem, but there were so many bills and conditions required to get it passed, that we really don't know what it would have had in it. It never got enough support to reach critical mass. So fact checking something that never happened is a weird position. Factcheck only checks a claim Hillary made against Bernie Sanders -- he'd proposed a bill counter to hers (his was universal coverage, hers was more like the ACA). 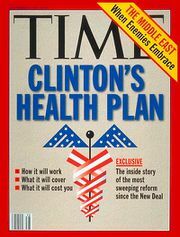 They said Hillary lied by implying Sanders wasn't working on healthcare in 1993, the cynical might assume that's just them spinning the most favorable light on the biggest liberal in the room (and Sanders is to the left of Hillary). This page was last edited on 14 April 2019, at 21:08.